Between the massive amount of medical data generated every year and the significant regulatory pressure to adopt medical record transportability and interoperability standards, the healthcare sector is under significant pressure to transition from paper-based records to digital. However, the healthcare sector remains largely paper dependent due to the lack of easy-to-use and robust-feature solutions that can help healthcare providers make the transition. What is needed is a solution that simplifies the conversion of massive paper-based medical records to digital while ensuring the accuracy of data captured. 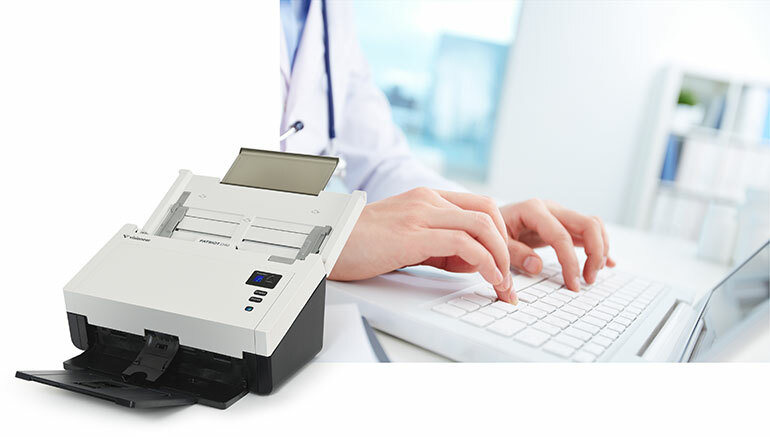 Visioneer’s scanners and document management solutions enable healthcare providers to rapidly and seamlessly make the shift from paper to digital. Our high-performance scanners capture crystal clear images of medical documents, regardless of media type, and converts them into file formats that are compatible with a wide range of EMR software. Our products and solutions give healthcare providers a clear path to the digital age and helps them optimize their document management in ways that streamline workflows, reduce administrative costs, and enhance their quality of care. Visioneer provides the most versatile and highest quality scanners to serve today's healthcare and pharmaceutical needs. Our products will scan many different media and fit into your HIPAA and FDA regulatory requirements.